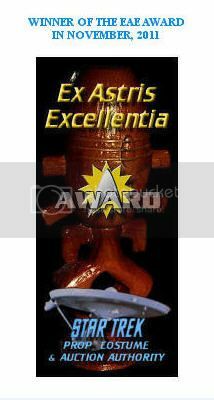 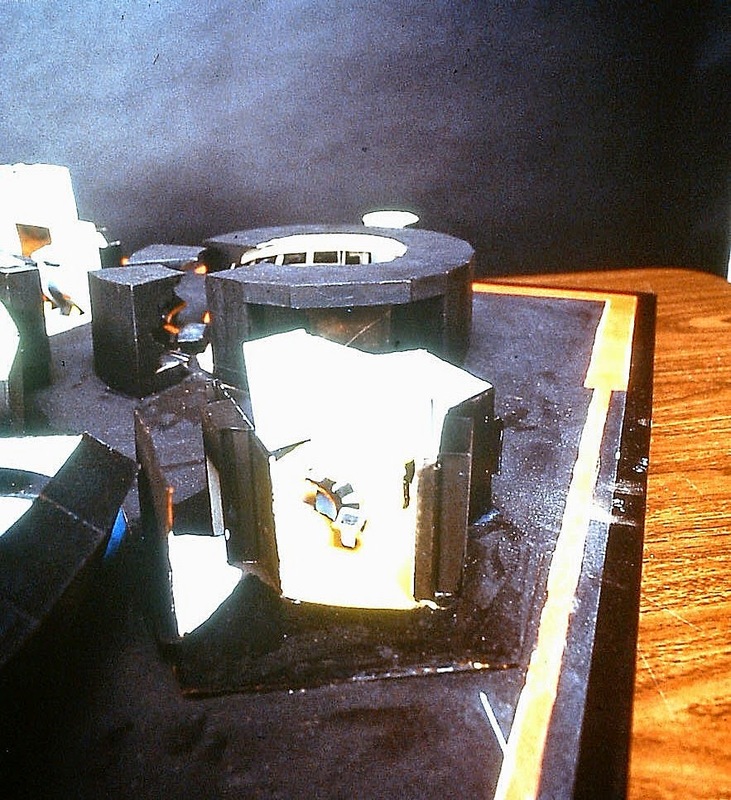 Presented below are many detailed images from the collection of TOS Production Designer Matt Jefferies of a 41 in. 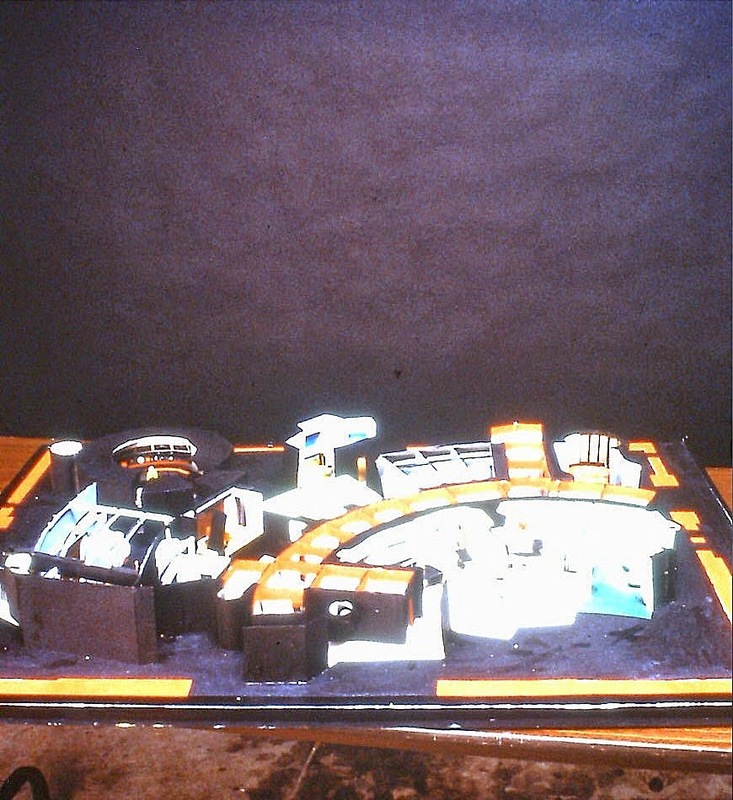 by 30 in. 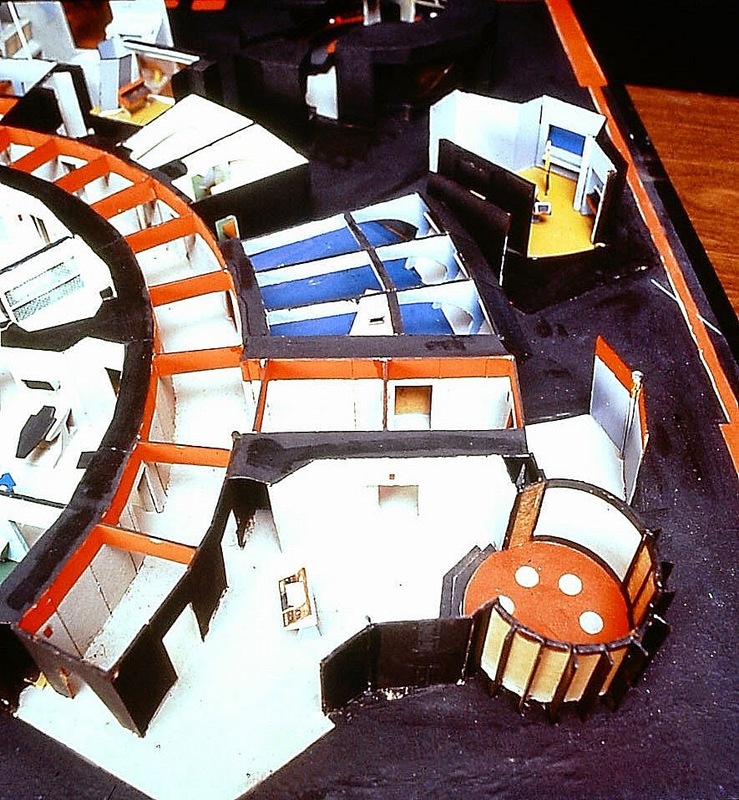 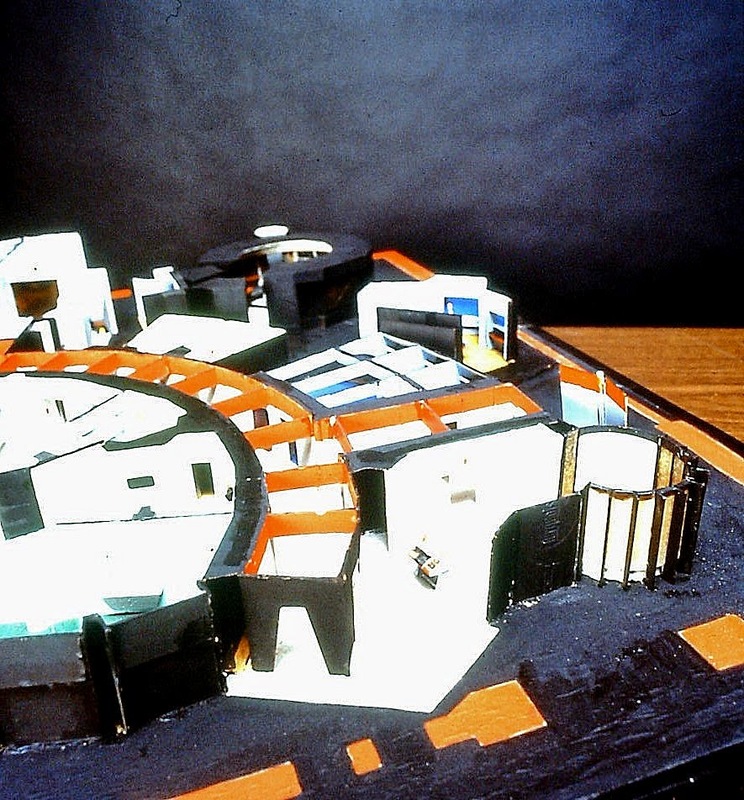 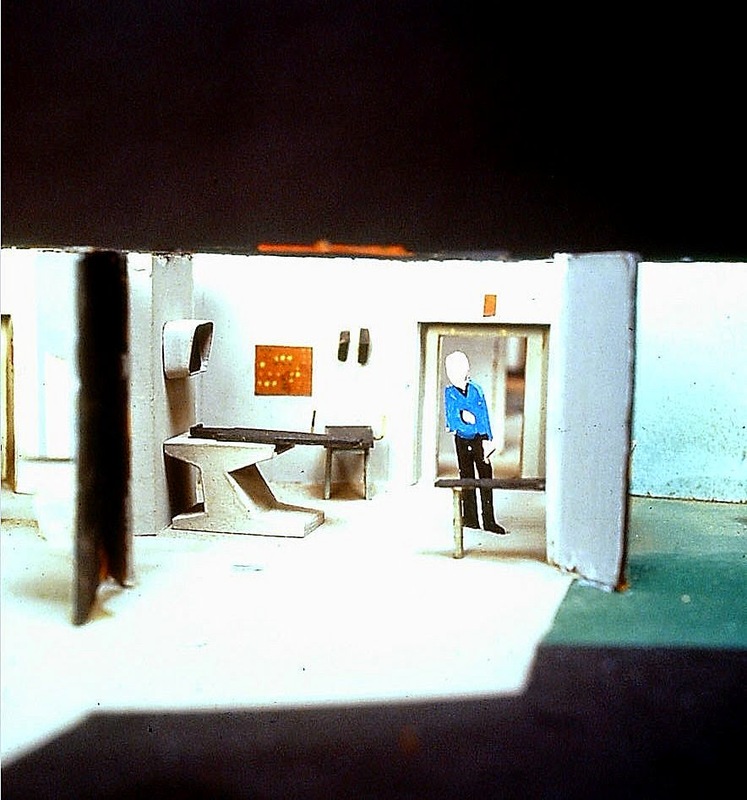 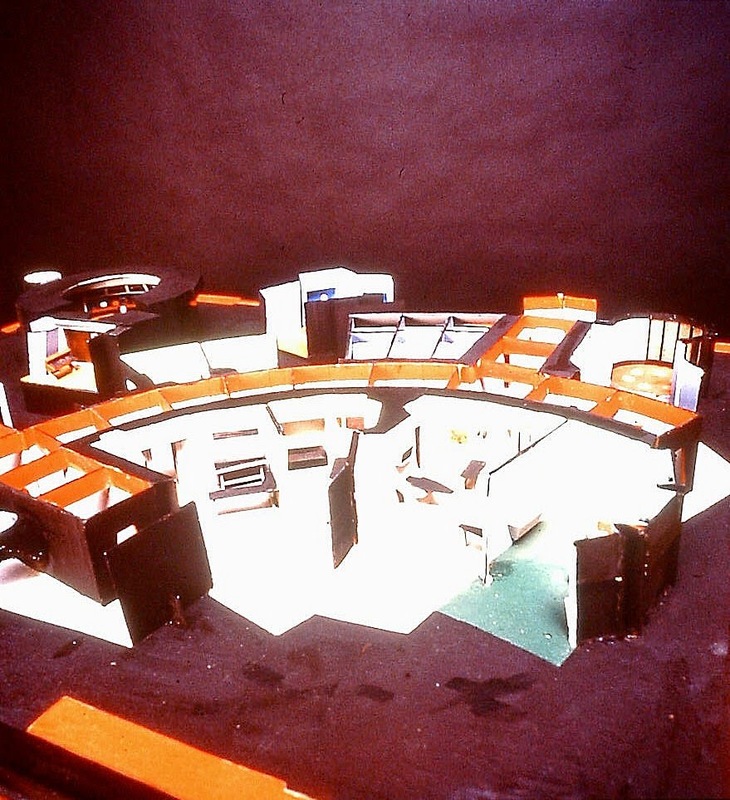 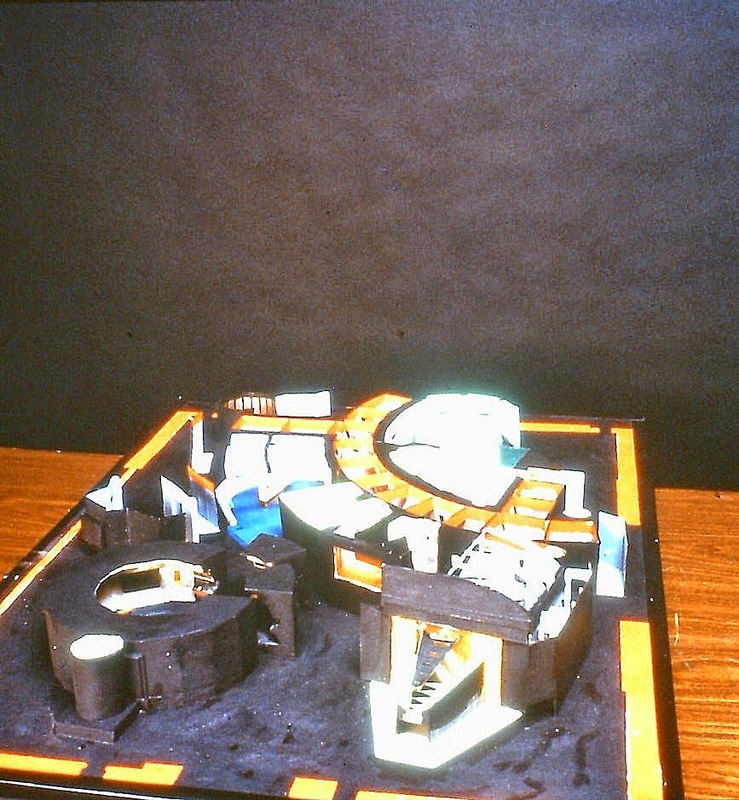 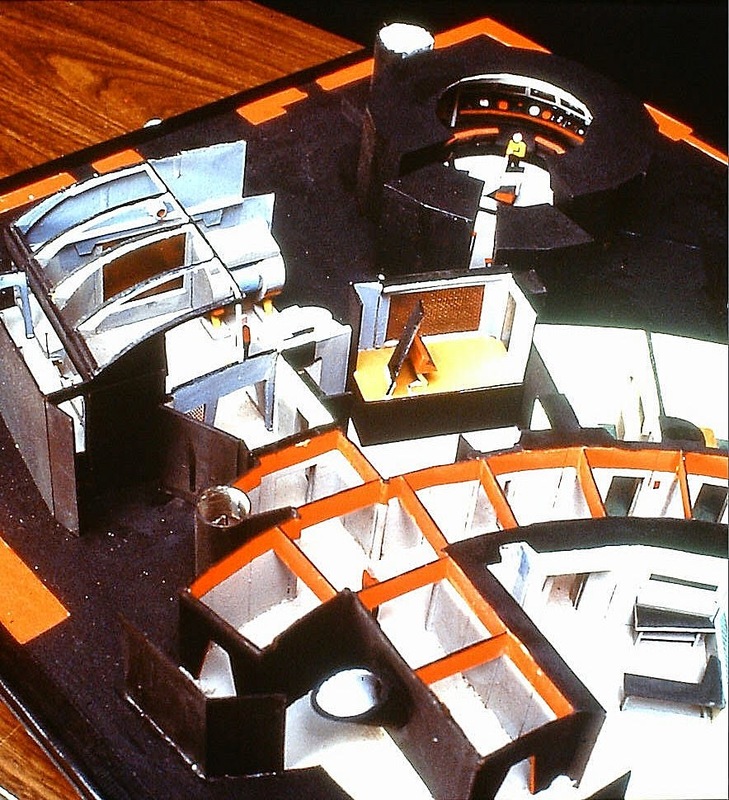 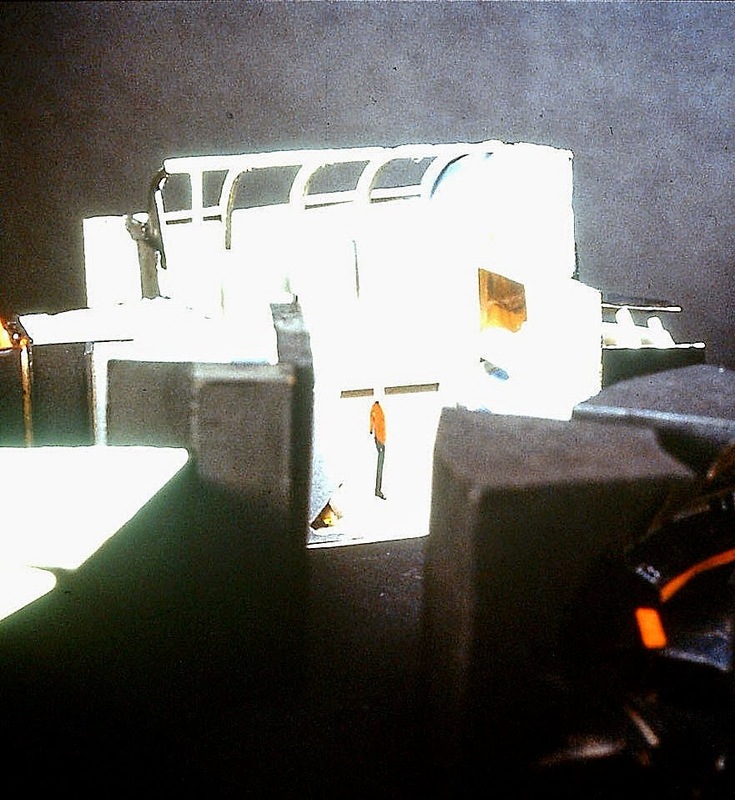 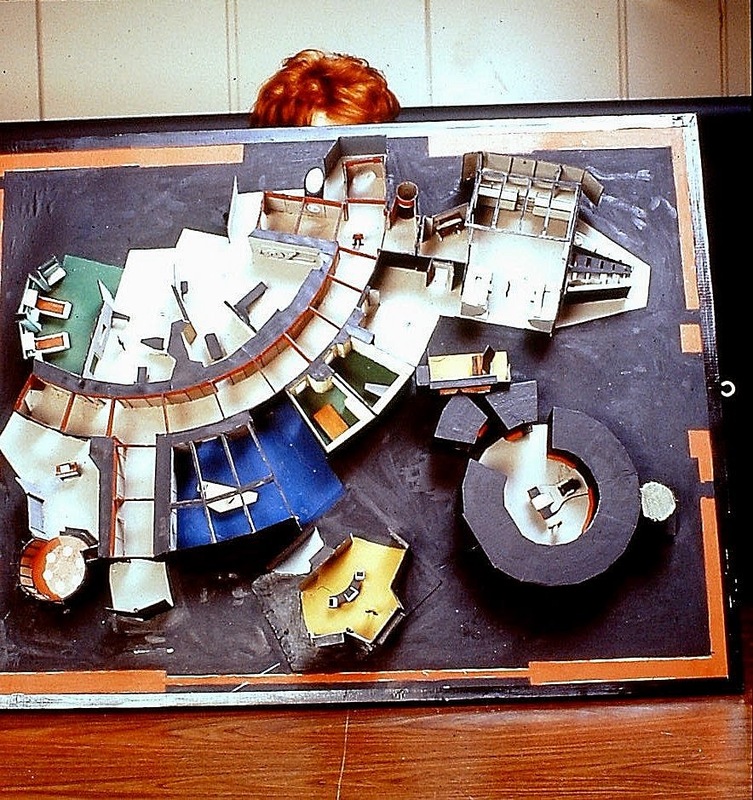 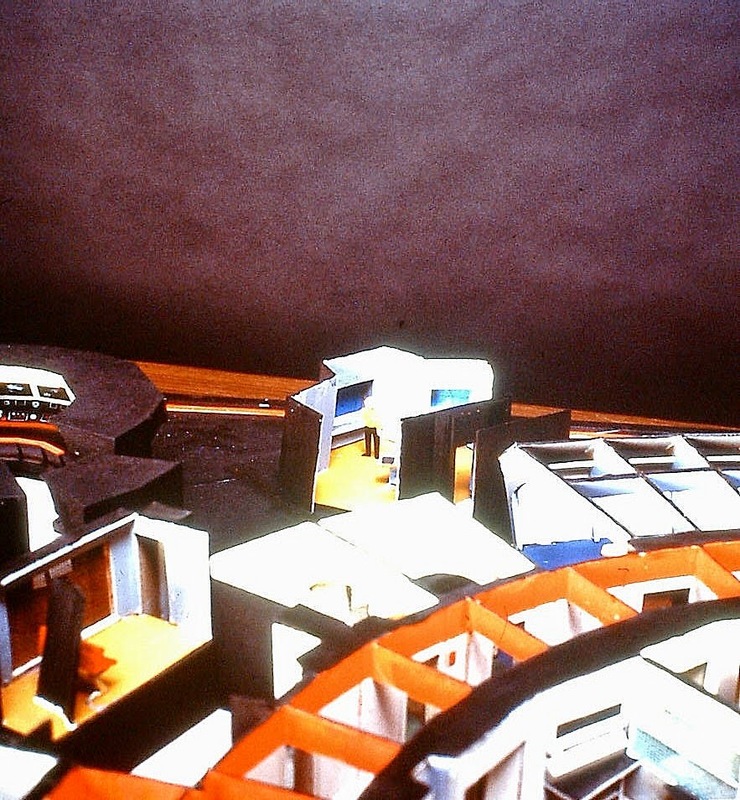 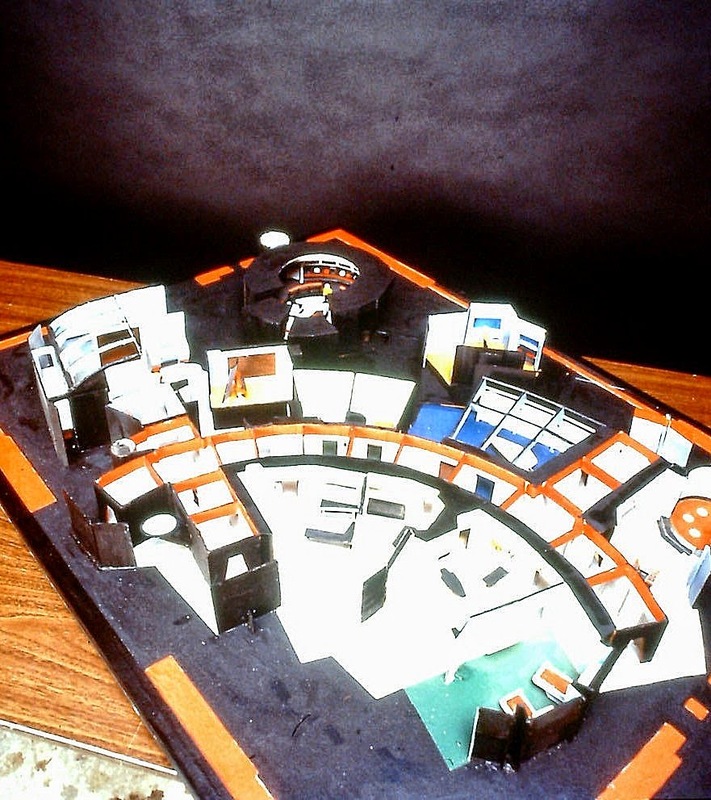 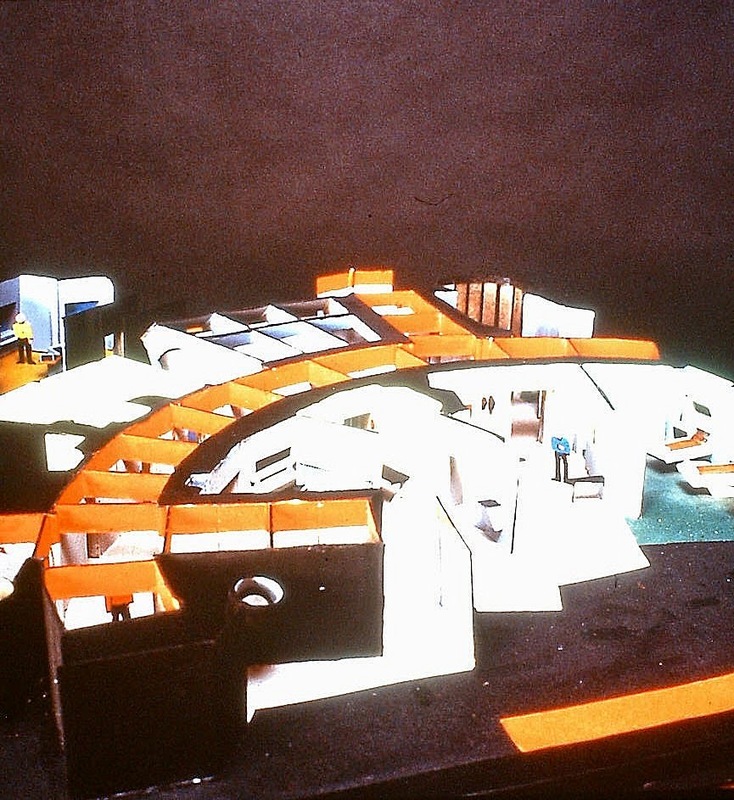 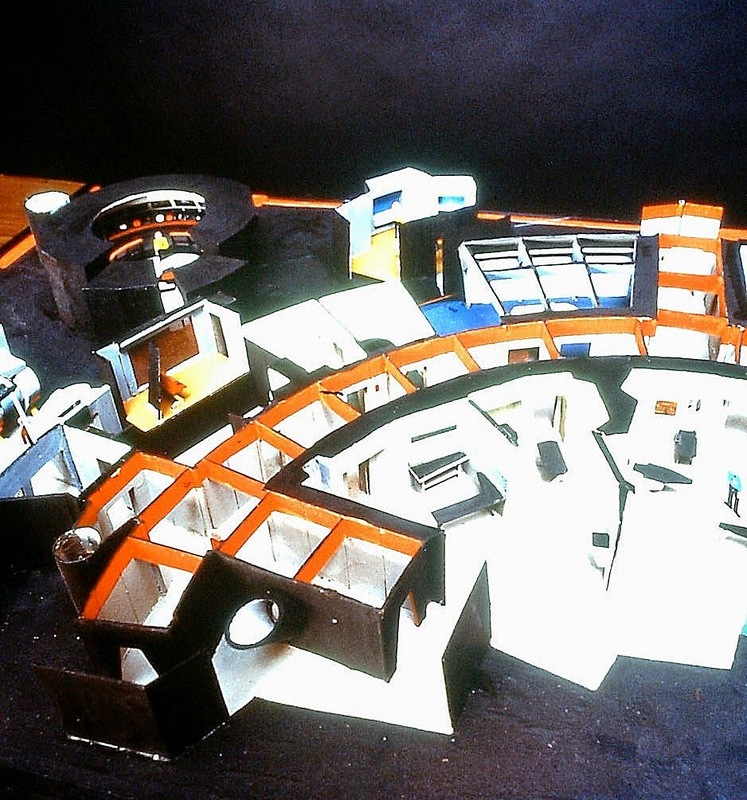 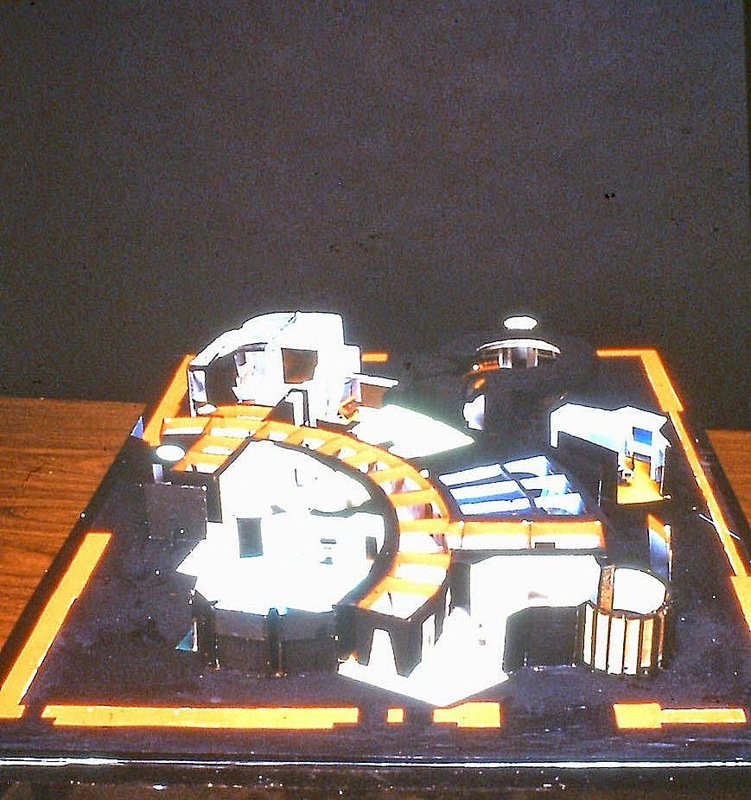 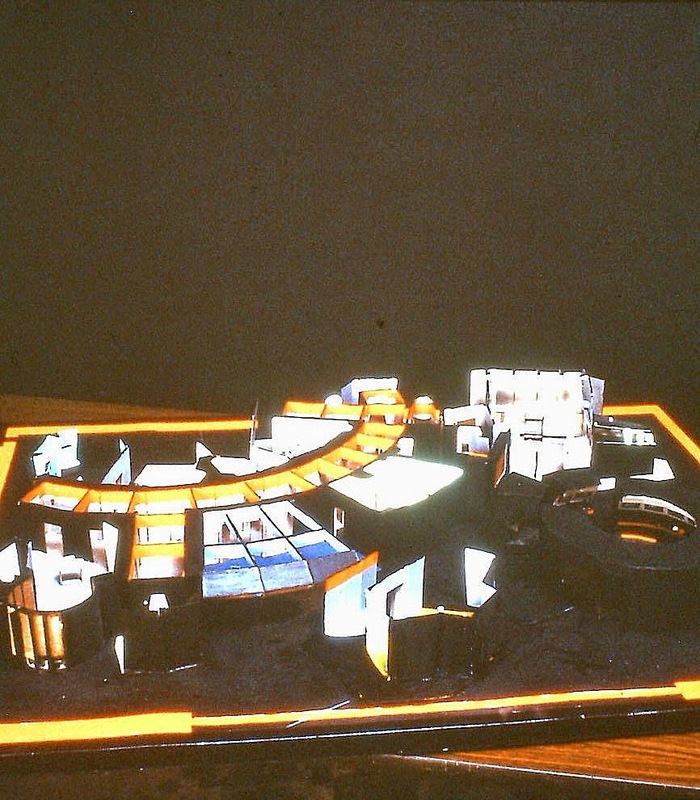 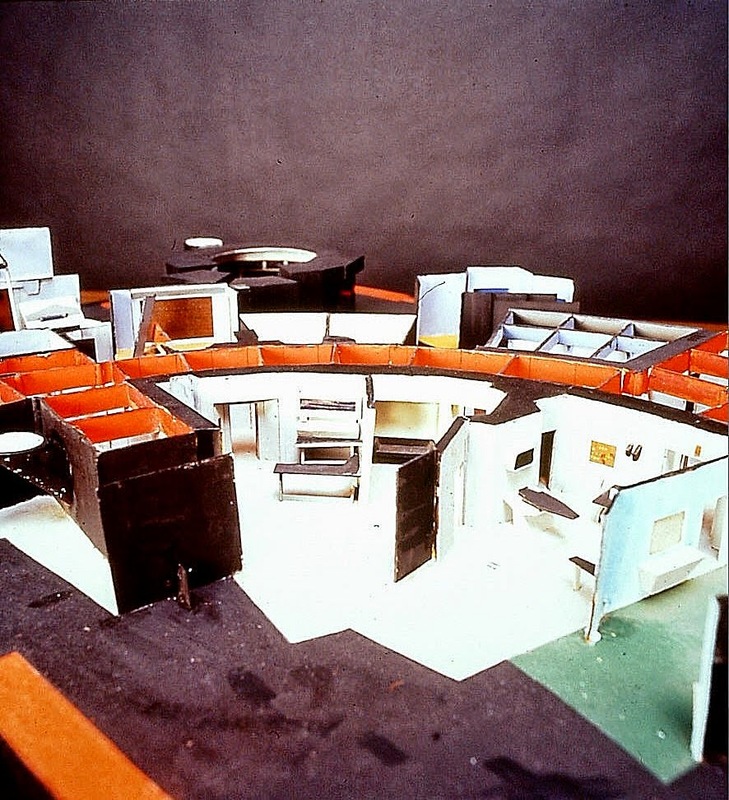 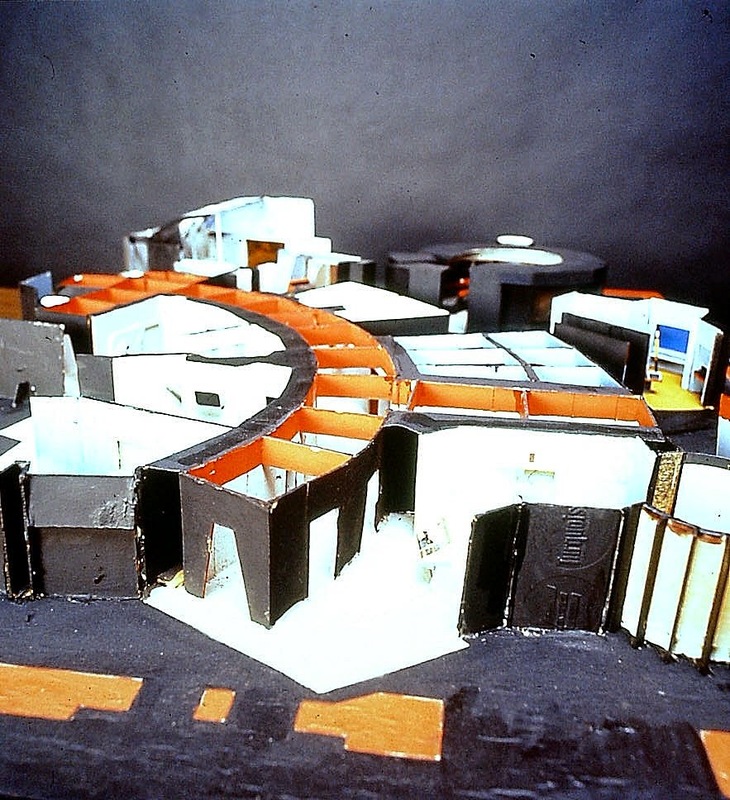 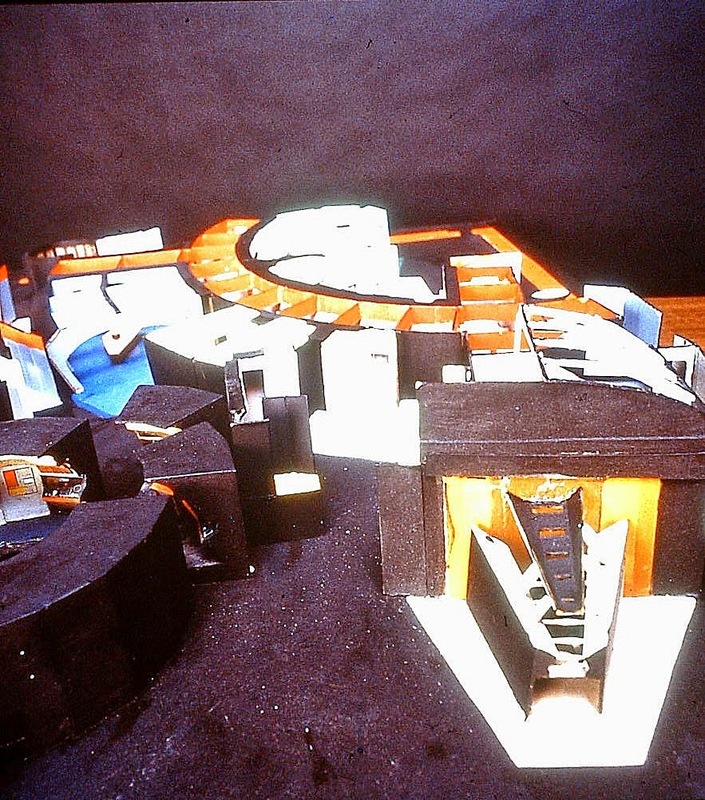 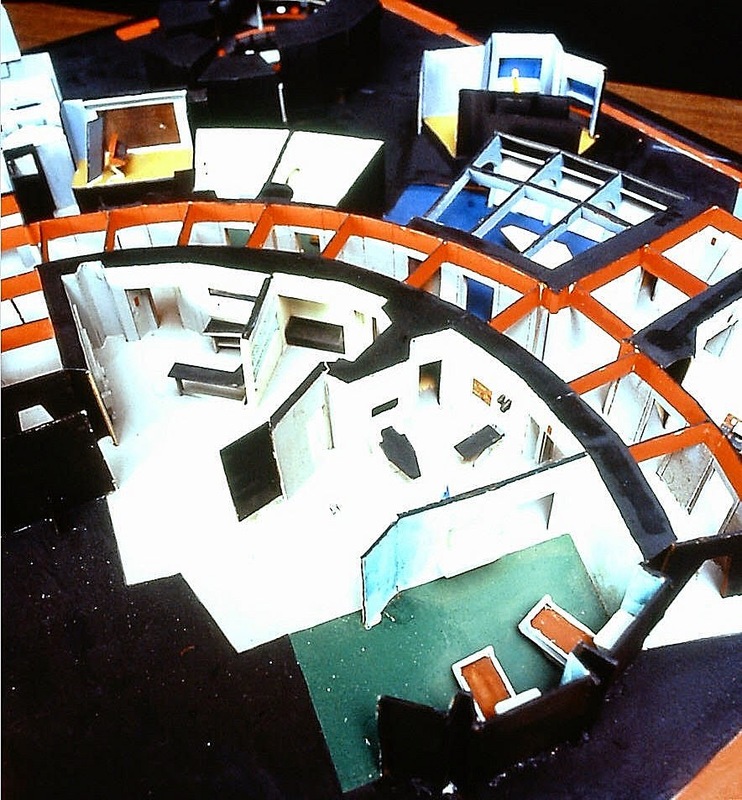 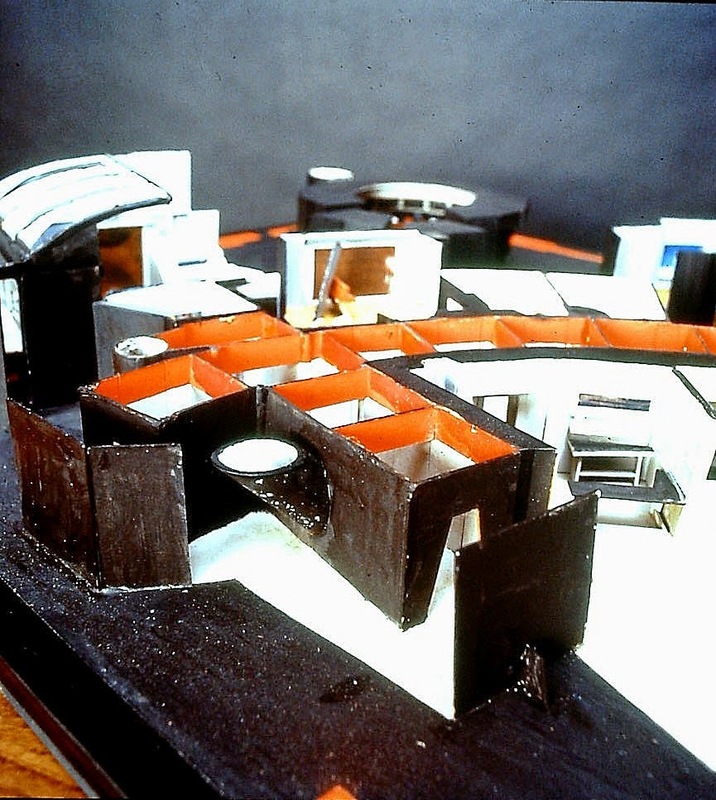 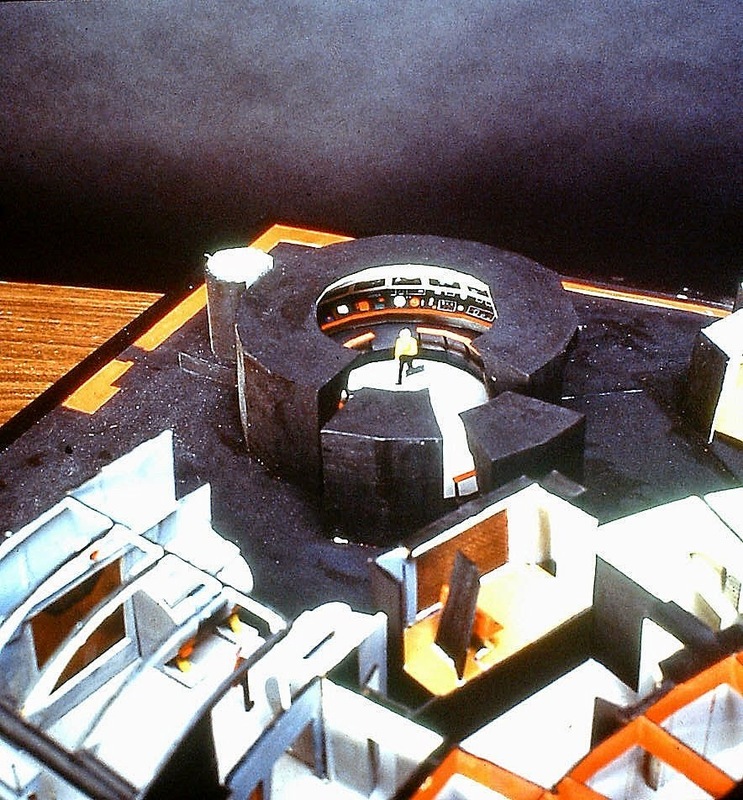 three dimensional scale model he constructed of the Star Trek Desilu Stage 9 soundstage, which housed the permanent sets for the filming of the Original Series. 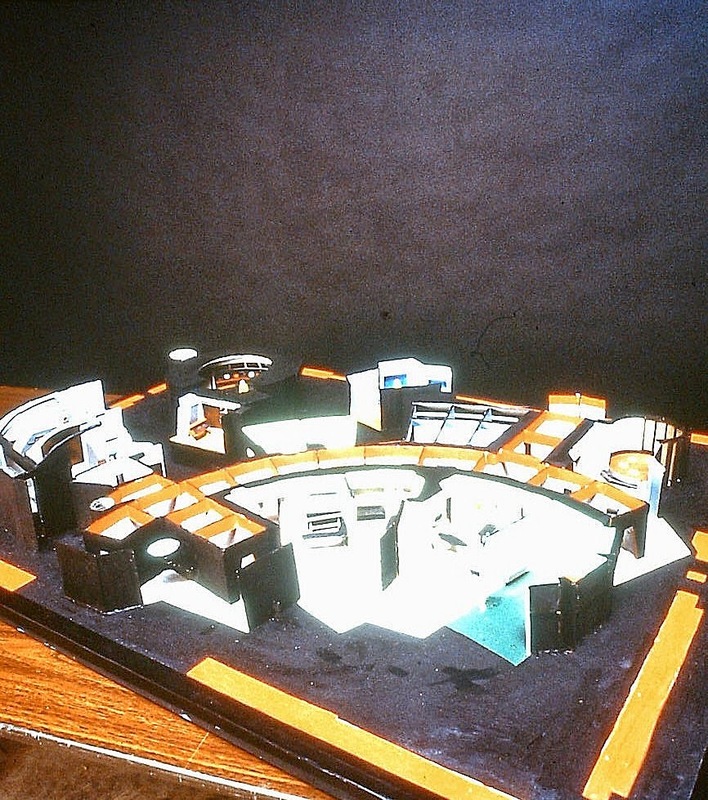 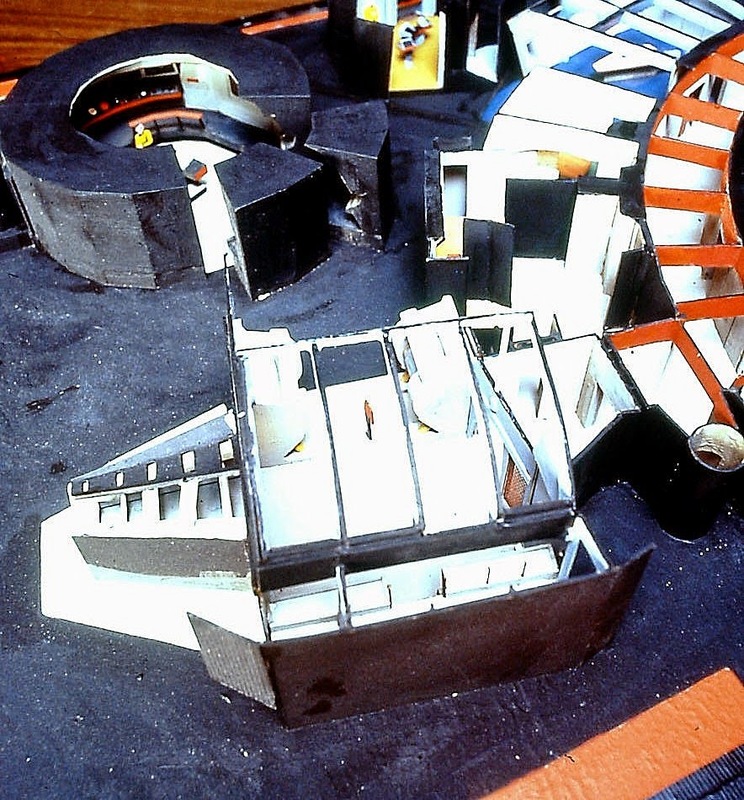 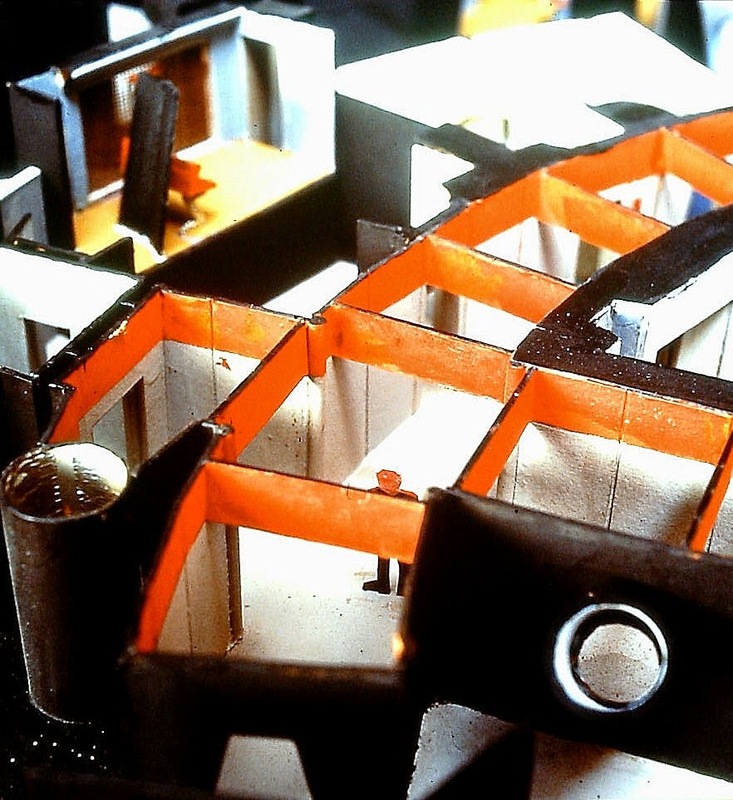 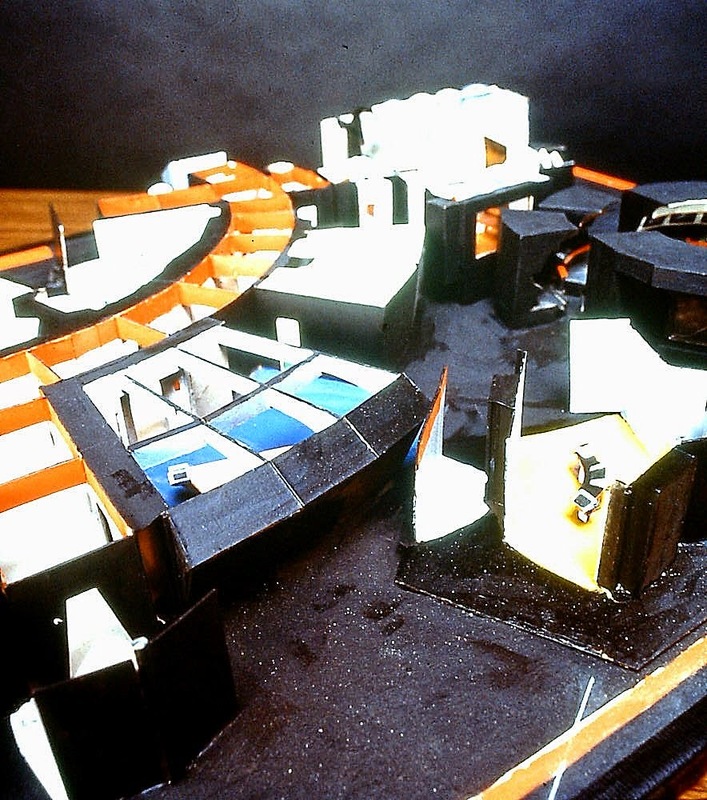 This elaborate model was built while TOS was in production in the late 1960's to help familiarize incoming guest Directors with the set layout. 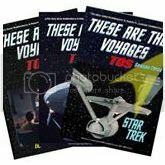 The first 18 images in this photo set were printed in the 1997 Pocket Books publication "Star Trek Sketchbook: The Original Series" by Solow & Solow. 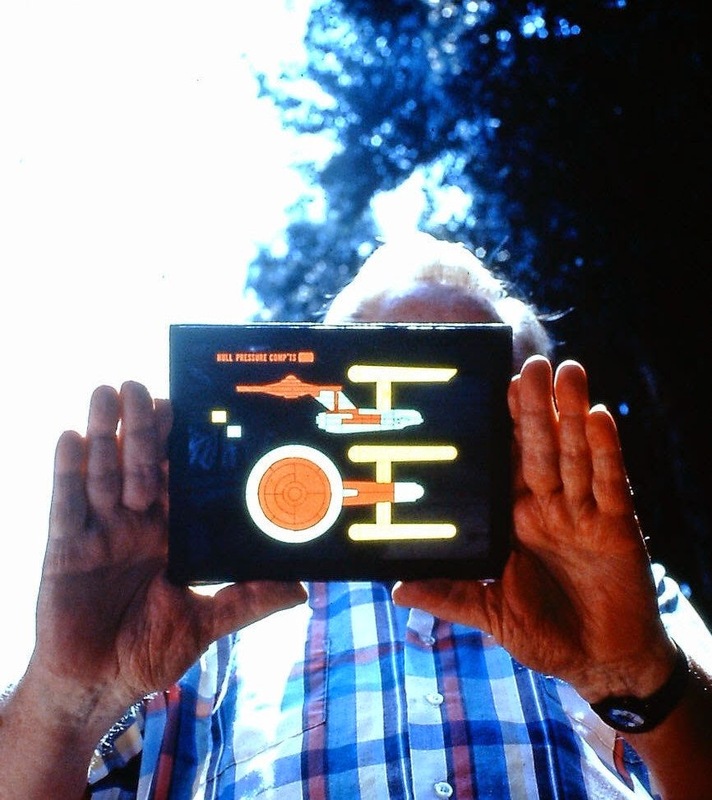 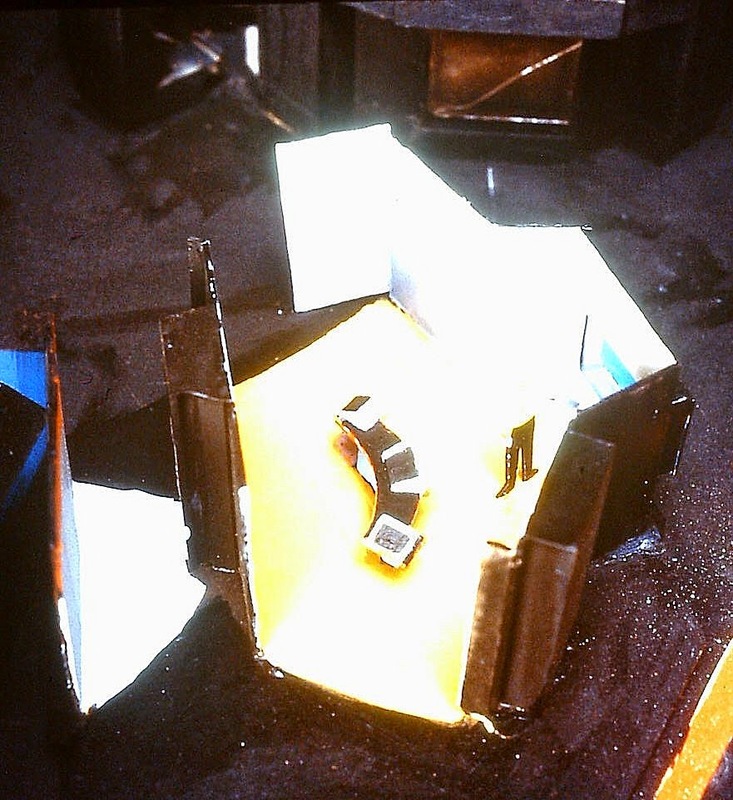 The subsequent 9 images of the model are, to my knowledge, unpublished, as is the last photo of Matt Jefferies holding a screen used TOS Bridge "Hull Pressure Compartments" panel which was unearthed at the same time as the Stage 9 model.